Sustainability, Procurement, Portfolio model, Sustainable procurement, Case study. Amindoust, A., Ahmed, S., Saghafinia, A., & Bahreininejad, A. (2012). Sustainable supplier selection: a ranking model based on fuzzy inference system. Applied Soft Computing, 12(6), 1668-1677. http://dx.doi.org/10.1016/j.asoc.2012.01.023. Bowen, F. E., Cousins, P. D., Lamming, R. C., & Faruk, A. C. (2001). The role of supply management capabilities in green supply. Production and Operations Management, 15(2), 63-75. http://dx.doi.org/10.1111/j.1937-5956.2001.tb00077.x. Carr, A. S., & Smeltzer, L. R. (1999). The relationship of strategic purchasing to supply chain management. European of Purchasing & Supply Management, 5(1), 43-51. http://dx.doi.org/10.1016/S0969-7012(98)00022-7. Carter, C. R., Ellram, L. M., & Ready, K. J. (1998). Environmental purchasing: benchmarking our German counterparts. International Journal of Purchasing and Materials Management, 34(3), 28-38. http://dx.doi.org/10.1111/j.1745-493X.1998.tb00299.x. Carter, J. R., & Narasimhan, R. (1996). Is purchasing really strategic? International Journal of Purchasing and Materials Management, 32(4), 20-28. http://dx.doi.org/10.1111/j.1745-493X.1996.tb00216.x. Croom, S. R. (2000). The impact of web-based procurement on the management of operating resources supply. The Journal of Supply Chain Management, 36(1), 4-13. http://dx.doi.org/10.1111/j.1745-493X.2000.tb00065.x. Dubois, A., & Pedersen, A. C. (2002). Why relationships do not fit into purchasing portfolio models: a comparison between the portfolio and industrial network approaches. European Journal of Purchasing & Supply Management, 8(1), 35-42. http://dx.doi.org/10.1016/S0969-7012(01)00014-4. Ennis-Reynolds, G. (2002). Sustainable development and multiplexes. Journal of Leisure Property, 2(4), 317-331. http://dx.doi.org/10.1057/palgrave.rlp.5090153. Gaither, N., & Frazier, G. (2001). Administração da produção e operações. São Paulo: Pioneira Thomson Learning. Gelderman, C. J., & Van Weele, A. J. (2002). Strategic direction through purchasing portfolio management: a case study. The Journal of Supply Chain Management, 38(2), 30-37. http://dx.doi.org/10.1111/j.1745-493X.2002.tb00127.x. Gelderman, C. J., & Van Weele, A. J. (2003). Handling measurement issue and strategic directions in kraljic’s purchasing portfolio model. Journal of Purchasing and Supply Management, 9(5-6), 207-216. http://dx.doi.org/10.1016/j.pursup.2003.07.001. Hadeler, B. J., & Evans, J. R. (1994). Supply strategy: capturing the value. Industrial Management (Des Plaines), 36(4), 3-14. Handfield, R. B., Krause, D. R., Scannell, T. V., & Monczka, R. M. (2000). Avoid the pitfalls in supplier development. Sloan Management Review, 41(1), 37-49. Handfield, R. B., Sroufe, R., & Walton, S. (2005). 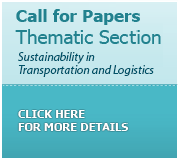 Integrating environmental management and supply chain strategies. Business Strategy and the Environment, 14(1), 1-19. http://dx.doi.org/10.1002/bse.422. Handfield, R. B., Walton, S. V., Seegers, L. K., & Melnyk, S. A. (1997). Implementing sustainable sourcing: green’ value chain practices in the furniture industry. Journal of Operations Management, 15(4), 293-315. http://dx.doi.org/10.1016/S0272-6963(97)00004-1. Hilson, G., & Murck, B. (2000). Sustainable development in the mining industry: clarifying the corporate perspective. Resources Policy, 26(4), 227-238. http://dx.doi.org/10.1016/S0301-4207(00)00041-6. Karna, J., Hansen, E., & Juslin, K. (2003). Social responsibility in environmental marketing planning. European Journal of Marketing. Bradford, 37(5-6). http://dx.doi.org/10.1108/03090560310465170. Krause, D. R., Vachon, S., & Klassen, R. D. (2009). Special topic forum on sustainable supply chain management: introduction and reﬂections on the role of purchasing management. The Journal of Supply Chain Management, 45(4), 18-25. http://dx.doi.org/10.1111/j.1745-493X.2009.03173.x. Meehan, J., & Bryde, D. (2011). Sustainable procurement practice. Business Strategy and the Environment, 20(2), 94-106. http://dx.doi.org/10.1002/bse.678. Montibeller-Filho, G. (2001). O movimento ambientalista e o desenvolvimento sustentável - DS. In G. Montibeller-Filho. O mito do desenvolvimento sustentável: meio ambiente e custos sociais no moderno sistema produtor de mercadorias. Florianópolis: UFSC. Narasimhan, R. (1983). An analytical approach to supplier selection. Journal of Purchasing and Materials Management, 19, 27-32. Nellore, R., & Soderquist, K. (2000). Portfolio approaches to procurement: analyzing the missing link to specifications. Long Range Planning, 33(2), 245-267. http://dx.doi.org/10.1016/S0024-6301(00)00027-3. Olsen, R. F., & Ellram, L. M. (1997). A portfolio approach to supplier relationships. Industrial Marketing Management, 26(2), 101-113. http://dx.doi.org/10.1016/S0019-8501(96)00089-2. Pagell, M., & Wu, Z. (2009). Building a more complete theory of sustainable Supply Chain Management using case studies of ten exemplars. The Journal of Supply Chain Management, 45(2), 37-56. http://dx.doi.org/10.1111/j.1745-493X.2009.03162.x. Pagell, M., Wu, Z., & Wasserman, M. E. (2010). Thinking differently about purchasing portfolios: an assessment of sustainable sourcing. The Journal of Supply Chain Management, 46(1), 57-73. http://dx.doi.org/10.1111/j.1745-493X.2009.03186.x. Ruparathna, R., & Hewage, K. (2015). Sustainable procurement in the Canadian construction industry: current practices, drivers and opportunities. Journal of Cleaner Production, 109, 305-314. http://dx.doi.org/10.1016/j.jclepro.2015.07.007. Sancha, C., Gimenez, C., & Sierra, V. (2016). Achieving a socially responsible supply chain through assessment and Collaboration. Journal of Cleaner Production, 112, 1934-1947. http://dx.doi.org/10.1016/j.jclepro.2015.04.137. Schaltegger, S., Burritt, R., & Petersen, H. (2003). An introduction to corporate environmental management: striving for sustainability. Sheffield: Greenleaf. Sharma, S., & Henriques, I. (2005). Stakeholder inﬂuences on sustainability practices in the Canadian forest products industry. Strategic Management Journal, 26(2), 159-180. http://dx.doi.org/10.1002/smj.439. Simpson, D., Power, D., & Samson, D. (2007). Greening the automotive supply chain: a relationship perspective. International Journal of Operations & Production Management, 27(1), 28-48. http://dx.doi.org/10.1108/01443570710714529. Tate, W., Ellram, L., & Kirchoff, J. (2010). Corporate social responsibility reports: a thematic analysis related to supply chain management. The Journal of Supply Chain Management, 46(1), 19-44. http://dx.doi.org/10.1111/j.1745-493X.2009.03184.x. Terpend, R., Krause, D. R., & Dooley, K. J. (2011). Managing buyer-supplier relationships: empirical patterns of strategy formulation in industrial purchasing. The Journal of Supply Chain Management, 47(1), 73-94. http://dx.doi.org/10.1111/j.1745-493X.2010.03215.x. Weele, A. V. (2010). Purchasing and Supply Chain Management: analysis, strategy, planning and practiced. Hampshire: Cengage Learning EMEA. Weele, A.V. (2002). Purchasing and Supply Chain Management. London: Thomson Learning. World Commission on Environment and Development – WCED. (1987). Our common future. Oxford: Oxford University Press. Wu, H. J., & Dunn, S. C. (1995). Environmentally responsible logistics systems. International Journal of Physical Distribution & Logistics Management, 25(2), 20-38. http://dx.doi.org/10.1108/09600039510083925. Xie, G. (2016). Cooperative strategies for sustainability in a decentralized supply chain with competing suppliers. 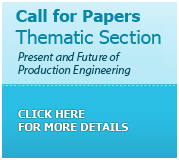 Journal of Cleaner Production, 113, 807-821. http://dx.doi.org/10.1016/j.jclepro.2015.11.013. Yin, R. K.(2005). Estudo de caso: planejamento e métodos (3rd ed.). Porto Alegre: Bookman.